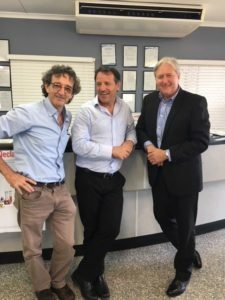 IBSA Manufacturing was in Darwin recently to conduct a consultation and engagement program. IBSA visited Chartair in Darwin to discuss the aeroskills needs in the Northern Territory. And met with the NT State Training Authority and provided a comprehensive overview of all training packages projects and Industry Skills Forecast’s within IBSA’s scope. IBSA Manufacturing would like to thank ISACNT for helping to facilitate the consultation industry forum.